Immerse yourself in a transformative learning experience! The World’s Future can be played in person, encouraging face-to-face cooperation on complex issues, or online, enabling players to experience the successful social simulation remotely. The end result is the same: The interdependencies of the global goals come to life as players feel the emotion of watching their country’s fortunes rise and fall based on their decisions. The World’s Future is a social simulation in which players adopt high-level leadership roles within a world much like ours. As the simulation progresses, they experience the pressure of making tradeoffs and the thrill of finding synergies involved in pursuing sustainable development. Achieving sustainability can, at times, feel like the world’s worst traffic jam. Most are fighting to be in the fast lane, and everyone wants to move forward. Focused on taking their own car from Point A to Point B, drivers tend to take short-term actions that benefit themselves. Meanwhile, traffic jams continue. This is the world we model in The World’s Future – a world in which achieving one goal sometimes comes at the cost of another, and where sometimes it serves to boost another. 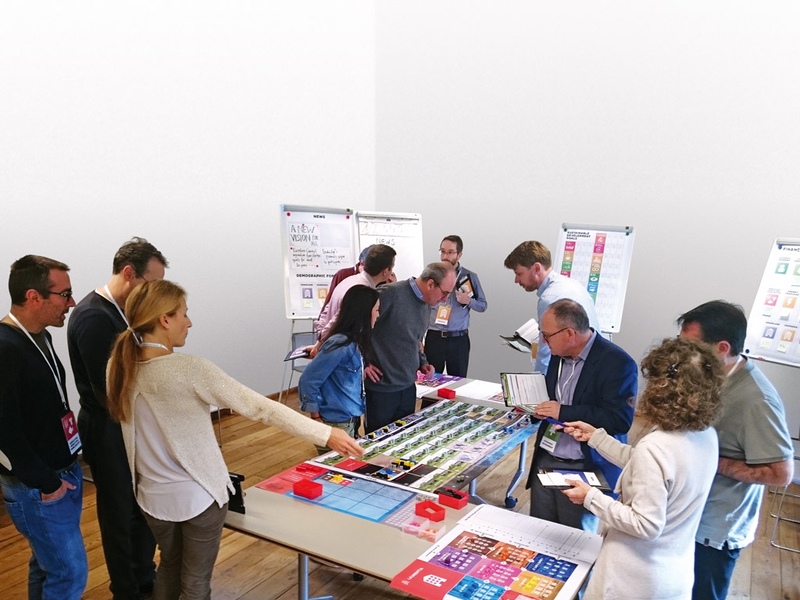 This simulation, which incorporates the 2030 Sustainable Development Goals, empowers players to experience how interconnected the global goals are and what the consequences are of their decisions. Players make choices about energy and industrial investments, social development, and environmental management, among other factors, which influence their country – and surrounding countries – in the long term. Much like the traffic jam analogy, there will be players who want to stay in their lane and others who want to advance at all costs. Some may even innovate, seeking a completely different route. The emotions in play as participants aim to resolve conflicts and achieve their goals are palpable! Contact us to lead a workshop for you and/or provide moderator training for you to be able to lead the simulation yourself. "It really helps to better understand the complexity of the ‘real world’, why changes are so slow, why solutions are not put into place, why international cooperation is so complicated." "You get personally involved and, by this, a better understanding of processes and how complexity and uncertainty may influence decisions." "I've long been interested in sustainability, and this game has further strengthened my sense that international cooperation is essential to meet the SDGs!" "The game translates a lot of knowledge and, in this particular case, threats into quite lively experiences. These last much longer in the minds of the players than the same information in the form of books." 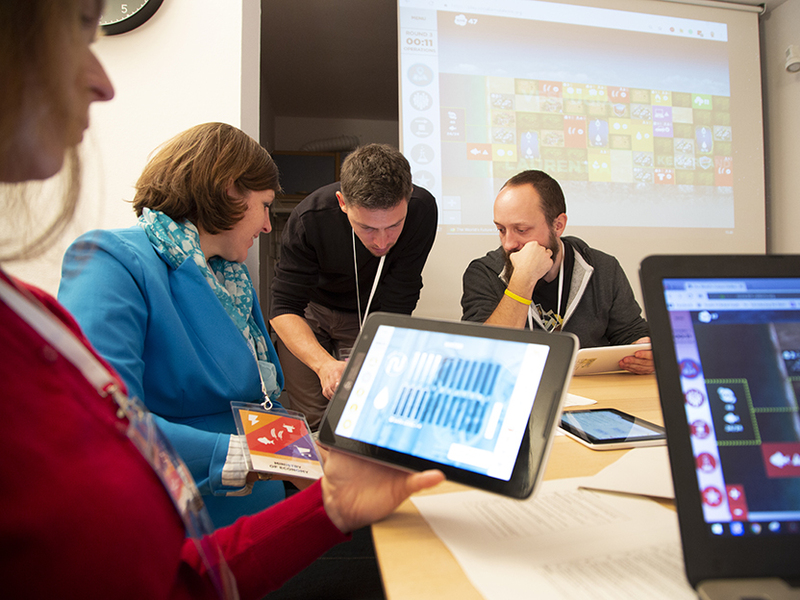 Invite us to lead a workshop of The World’s Future social simulation with your organization. The simulation lasts 3-4 hours plus an additional 1-2 hours for the critical debriefing stage. 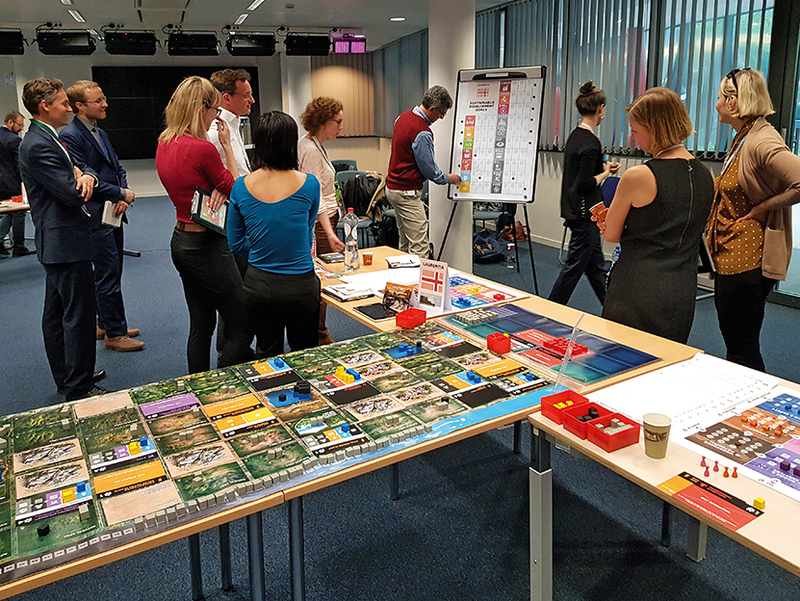 Bringing together diverse stakeholders to play the simulation engages them deeply in the topic. Although they may begin with the idea of “winning”, i.e., becoming the most successful country, they quickly realize that the actions of other countries can have a huge impact on their own and feel the pressure to find other solutions. As the participants make decisions and watch as the impacts are realized, the learning experience becomes more real. The emotions associated with visualizing the results make it easier to retain information and understand the tradeoffs and synergies necessary to achieve the 2030 Sustainable Development Goals. Players often mention feeling a distinct mindshift after our workshops, as they more deeply understand the interconnectivity of the global goals. The in-person workshop takes place at your organization’s site. 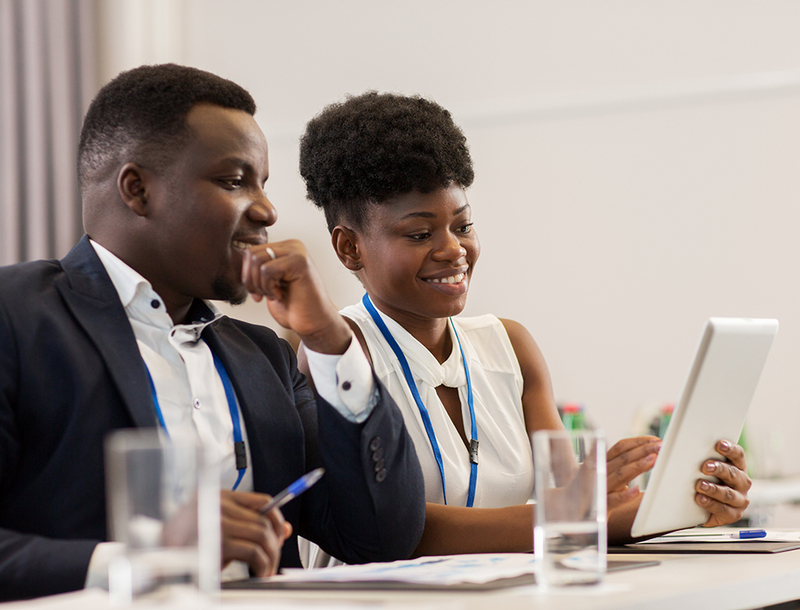 For the online workshop, you can decide whether to bring your team together in one room to play or run the simulation fully online. You can also choose whether we facilitate the workshop in-person or online. 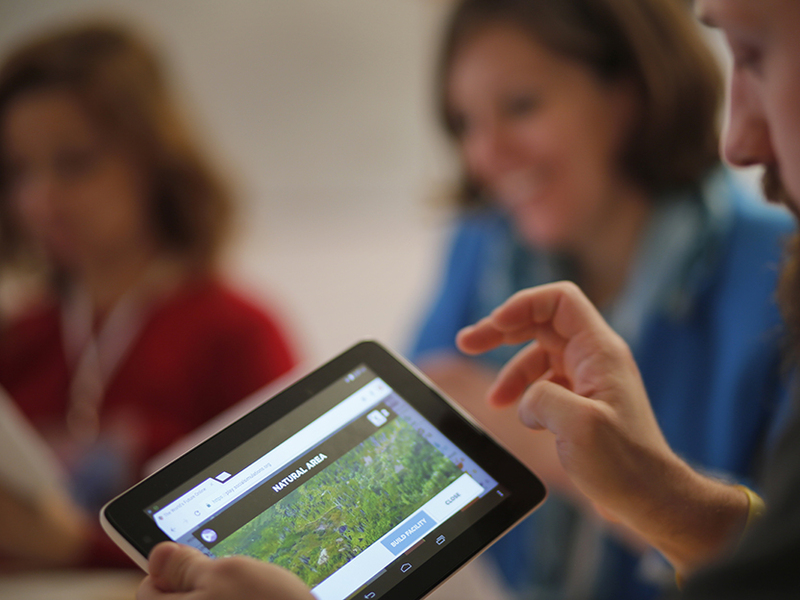 If online, participants would need an internet-capable device (preferably a tablet) with stable and fast internet access. Deepen the impact of The World’s Future by becoming a moderator. Use the simulation to engage stakeholders in learning about and implementing the Sustainable Development Goals. Moderator training requires you to have played the simulation before. This is why we recommend organizing a workshop and adding on an additional day of training. Playing the simulation before gives participants a better sense of their role as a moderator and enables them to frame problems without forcing a way of thinking on participants. For those who have selected fully online gameplay and training, we prefer to do the training the day after the simulation. In the morning, we review the most important aspects of leading the game as well as details of the platform and its use. In the afternoon, trainees will practice leading the game. Following the workshop, moderators from the Centre for Systems Solutions are available to provide support online. For those who have invited us on site to run a workshop, we do the training the day after the simulation. In the morning, we review the most important aspects of moderating, as well as how to set the simulation up. In the afternoon, trainees will practice leading the game. Following the workshop, moderators from the Centre for Systems Solutions are available to provide support online. 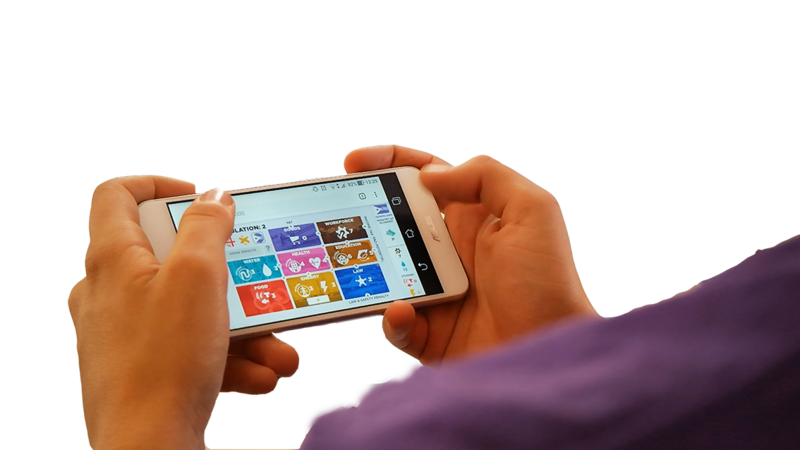 The game was developed by Centre for Systems Solutions in collaboration with the International Institute for Applied Systems Analysis. 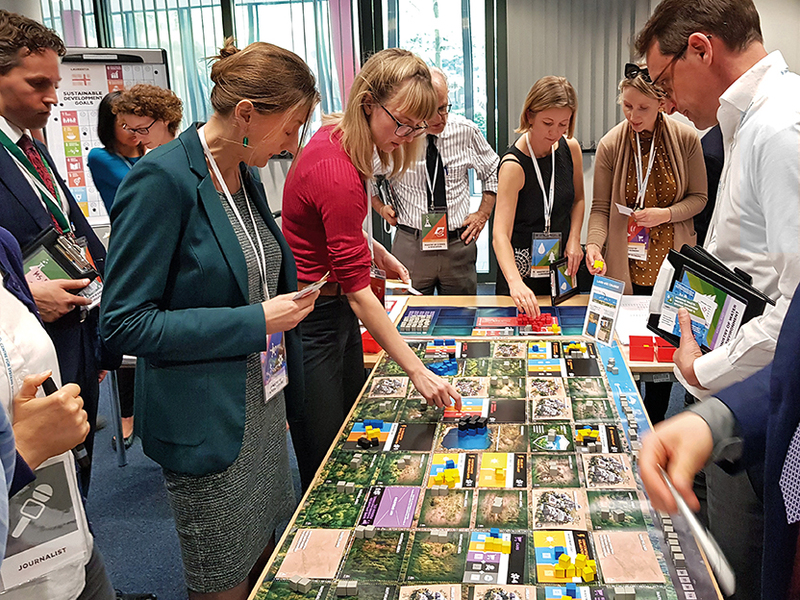 The online version of The World’s Future Game was developed by the Centre for Systems Solutions in collaboration with Wuppertal Institute, Leuphana Universität, and Freie Universität Berlin. 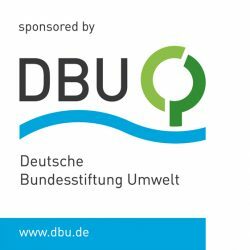 The development of the online version of The World’s Future Game was sponsored by the Deutsche Bundesstiftung Umwelt.